All ELT professionals working with learners under 18 years of age need to be aware of child protection and safeguarding issues: we need to prove to parents / caregivers, teachers, agents and children that we are actually doing everything possible to protect the wellbeing of the learners in our care. Every teacher and institution that works with children has an interest in this. ‘Safeguarding’ is a term used to describe a body of measures that institutions put in place to try to ensure the safety of children and vulnerable adults in their care. It covers measures to help identify and prevent abuse, but also other measures that aim to reduce the possibility of accident and injury. ‘Code of conduct’ generally refers to a distillation of advice to staff on how they should conduct themselves on a day-to-day basis in their interactions with children. Create, regularly review and update a child safeguarding policy for your school. You can find an example of a complete policy here. Create a Safer Recruitment Policy for your school. The protection of children begins at the recruitment stage. There is considerable competition for the best staff and it’s important that organisations do not cut corners. A Safer Recruitment Policy covers things like proper advertising, interview techniques, background checking, checking of qualifications and the careful follow up of references. You can find a good example of a safer recruitment policy here. Carry out risk assessments for every excursion and other activity undertaken by your learners. Risks are assessed according to likelihood and severity for example, on a scale of 1 (low) to 5 (high) and measures are put in place to reduce the risk. Only when an activity carries an acceptable level of risk is it allowed to take place. Treat all children and teenagers with care and respect, regardless of their age, cultural / social background, disability, ethnicity / race, family background, first language(s), gender (including transgender), nationality, religion or belief. Maintain a professional educational relationship with all children and teenagers and avoid exclusivity or favouritism. Ensure you act in a non-aggressive manner toward all children and teenagers in your English language classrooms and learning / teaching context. Avoid being alone with a child or teenager and avoid any actions which may be misinterpreted. Listen to what children and teenagers tell you and report any sensitive incident or disclosure to an appropriate child protection focal point. Ensure you avoid contacting any child or teenager via social media. A code of conduct provides a useful ‘rule of thumb’ for everyday interactions with learners. It is not sufficient in itself and cannot replace a fully thought out safeguarding policy. For example handling sensitive disclosures (#5) is a skill in itself and merits considerable further explanation and training. Organise staff training. A free online basic awareness course is available here. Participants are given a certificate on completion. Appoint a Safeguarding Officer for your school who will be trained to a more advanced level. There are many organisations that provide training in safer recruitment and safeguarding. 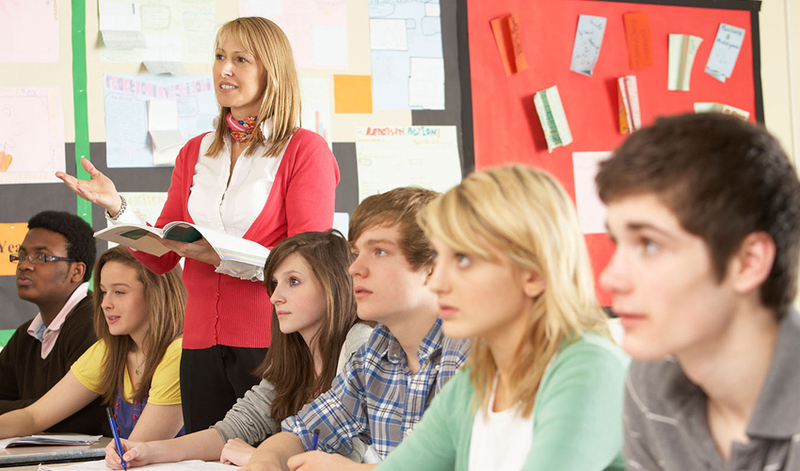 In the UK, for example, the Young Learners special interest group of English UK provides training for members which is tailor-made to ensure that content is relevant to language schools. See here. Encourage staff to take first aid training. As the name implies, this is surely a first line of defense in caring for all our students. It is only by having robust safeguarding policies in place that we can counter parents’ / caregivers’ concerns and assure them that we can provide a safe environment where children can broaden their horizons, make new friendships and develop greater intercultural understanding through learning English. Learning with technologies is part of YL ELT classrooms globally and can be highly motivating. However, before using educational technologies, it’s essential we take actions to safeguard children and teenagers online. The United Nations Convention on the Rights of the Child states, in articles 12, 16, and 36, respectively, that young people have the right to choose, the right to privacy and the right to be protected from exploitation. We need to ensure that we protect these rights when working with online media. *Create and implement an Online Safety Policy and ensure it is regularly reviewed and revised. Consider the different areas it may need to cover, for example, the use of mobile devices, staff conduct, netiquette, parental / caregiver disclaimers (in the case of learners going off task with any online work at home), the use of public platforms and social media. Make sure this is clearly communicated and agreed to by all staff, caregivers and, if age appropriate, the learners. *Raise awareness of the issues involved through communication to all stakeholders and have regular staff training. *Apply appropriate filters on school equipment. *Limit the online areas to share work through the use of private spaces on school blogs or websites, or the use of educational management systems (for example edmodo/class dojo). *Do not put the images of children’s faces online. *Have clear directives about what to do, and who to turn to, in the case of misuse. *Show pride in your institution’s commitment to safeguarding the learners online through publicising this. *Follow and help implement institutional policy, respecting existing filters, established safety modes and Acceptable Use Policies. *Before lessons where you plan to use technology, check sites (adverts may change), use child safe and educational versions of websites and tools, watch all videos the whole way through. *If anything untoward occurs in class, take screen shots, and report. *Give lessons that explore online safety issues, teach digital literacies and raise awareness of how learners can protect themselves from harmful online content and contact, and enable discussion around the problems harmful conduct could cause. *Create attractive materials with your learners such as posters, leaflets and audiovisual work to display around the school to demonstrate the issues. *Be pro-active, get informed and stay up to date. *Lead by example: re-evaluate your own online footprint, your profile photos and those of your family, social media profiles, privacy settings and passwords. *Keep records of any possible incidents that occur, and, if needed, report them. *Use your own professional and ethical compass to take responsibility to safeguard your learners online.